Today's Monday Mani is the first post in this 3 part series which will take you along the journey with me to get ready for a Christmas party. Whether you've had yours already, want some ideas for an upcoming Christmas party, or even for New Year's Eve. Stick around and over the next few days you'll see what I do to get ready, including my nails, makeup and some outfit ideas. Barry M Nail Paint in Navy, Maxfactor Gloss Finity in Sparking Berry or Rimmel Kate in Mars are all great options for this glitter ombré. 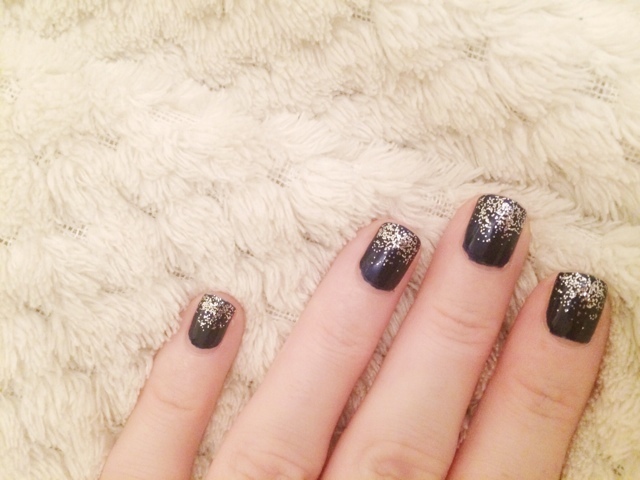 I prefer the look of navy and silver glitter but you can choose whichever shade you want. The glitter is Sinful Colors Queen of Beauty but they also have a stunning gold one too which looks great with red/burgundy. 3. Wait a minute or so and go in with another thin layer of glitter but only on half of your nail. Can you see it building up to the ombré effect? 4. Again, wait a little while and go in with another coat of glitter but only on the top quater of your nail. 5. Finally, go in with your last layer of glitter on the tip of your nail. You can build this up as much as you like. Depending on what look you are going for. 6. 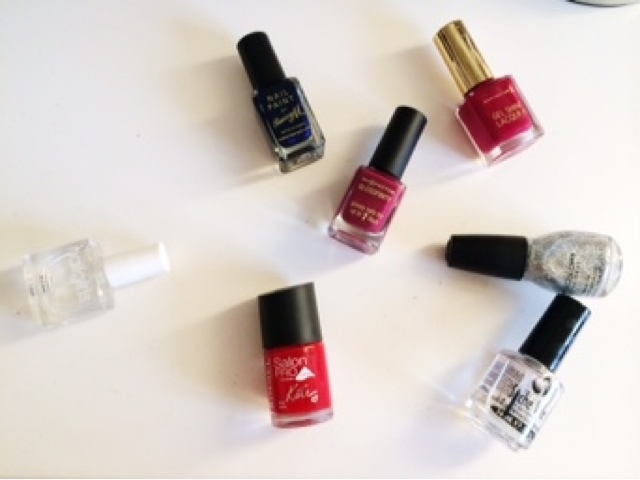 Add a fast drying top coat to seal everything in and you're ready to go party. 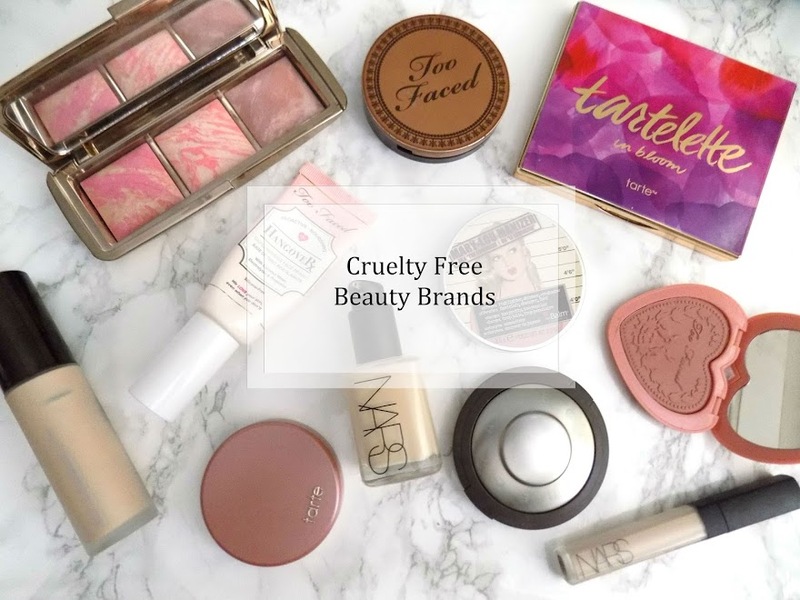 Wednesdays post is all about the makeup so make sure to check that out. 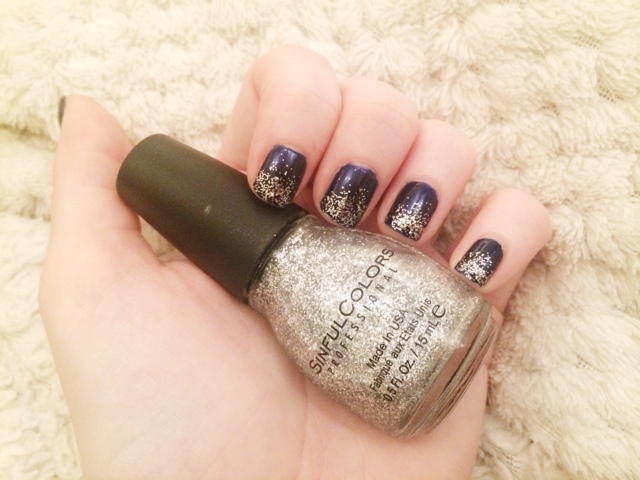 Would you do this mani for your Christmas party?